Dean, age 81, of Norwalk, passed away peacefully at Taylor House Hospice in Des Moines, IA. Dean “Mac”, the eldest son of Charley and Olive (Rogers) McIlravy, was born on May 23, 1936 near Orient, Iowa. He grew up on the family farm located in Orient, IA, which celebrates its 100th year. He graduated from Orient High School and then completed two years of drafting school. Dean worked for Snap-On tools in Algona. This is where he met his wife-to-be, Nancy Gail Brown. They were married February 23, 1959 and to this union had three children, David, Randall and Debra (the first girl born in over five generations in the McIlravy Family). The family moved to Norwalk in 1966 where Dean worked for Green Colonial Furnace Company in Des Moines (‘66-‘69), while working part-time as a police officer in Norwalk (’66-’70). Shortly thereafter, Dean went to work full-time for the City of Norwalk where he retired as a Supervisor for City of Public Works after 30 years. Dean was a volunteer firefighter for 44 years and an EMTA/EMTD for 30 years for the Norwalk Fire Department (’66-’95). 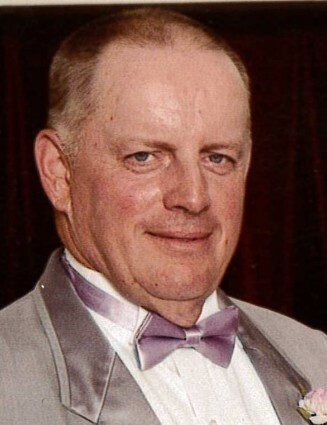 He was a member of the Central Hawkeye Acres Gas and Engine Association where he held the office of president and treasurer for several years. Dean was busy with work however he always found a way to make time for others. He would take time to help those in need, it didn’t matter what the task. He was very caring. Dean retired, but never truly retired. He would work out on farms doing tile intakes, restoring tractors and antique engines, loved doing his woodworking, and many other odd jobs. Dean was preceded in death by his parents; his wife Nancy; two brothers James and Gerald McIlravy; a daughter-in-law, Joan McIlravy in 2014. Dean is survived by three children, David of Churchville, IA, Randy (Sheila) of Creston, and Deb of Norwalk; a brother Don (Carol) McIlravy of Jamestown, ND; a brother-in-law, Steven (Nan) Brown of Brooklyn Park, MN; four grandchildren Bryce, Caitlin, Laura, and Michaela; and a host of family and good friends.